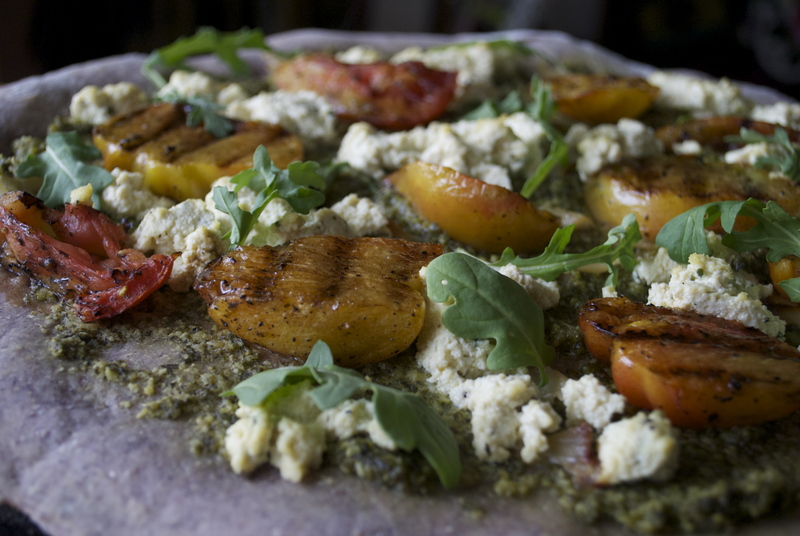 Grilled Heirloom Tomato Pizza: Basil Pesto, Tofu Ricotta, Wild Arugula on Blue Corn Crust. 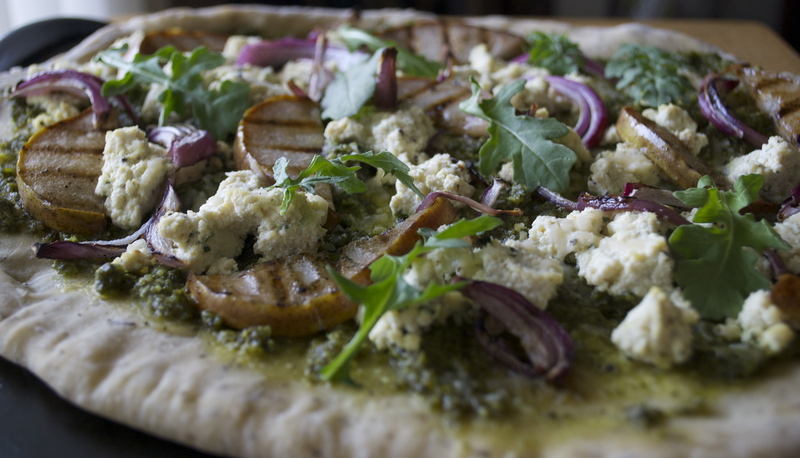 Grilled Pear Pizza: Bail Pesto, Tofu Ricotta, Red Onion on Herbed Crust. 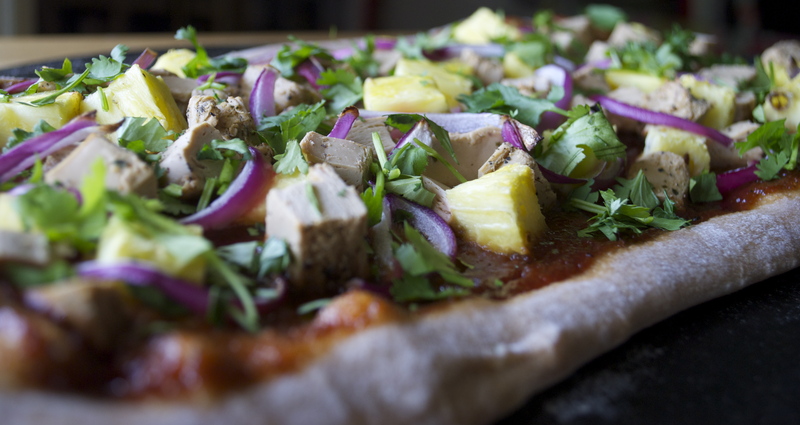 BBQ “Chicken” Pizza w/ Beyond Meat, Pineapple, Red Onion, Cilantro & Guava BBQ Sauce. The first two pizzas were recipes from the new Plum Bistro cookbook. I saw them and knew I had to make them at once. I cannot express how delicious they were. The grilled pear one was one of the best flavor combos I’ve ever had. I’ve never been to the actual restaurant, but the cookbook definitely doesn’t disappoint for me. The tomato pizza was equally good and perfect for summer. I decided to go ahead and make the pineapple pizza because I saw it as a recipe suggestion on the awesome Beyond Meat package I was sampling. I wanted to spice it up so instead of using a regular bbq sauce, I found this recipe for guava bbq sauce and made it. It’s VERY tangy. In a good way. Everything on this pizza pairs great together too. Make them all. Make them all and eat them! ← Caramelized Apple Banana Rum Bread w/ Macadamia Topping.